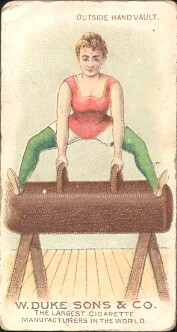 Duke used pretty women to display various exercises on this 25 card set. These cards measure 1-1/2" X 2-3/4". 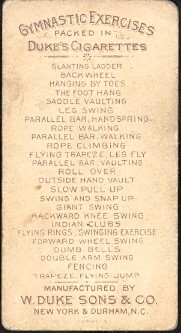 They have an unnumbered checklist on the back along with the name of W. Duke, Sons & Co.